Ms. Kasyoki knew from an early age that she wanted to educate children. 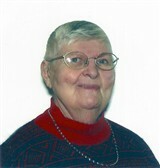 She has dedicated 61 years to the education industry and has been serving in her position for the past 24 years. An expert in reading and English instruction, she is responsible for overseeing of administrative duties and gap testing, teaching life skills, managing academic programs and conducting psychological testing. For her exceptional work, Ms. Kasyoki earned the South Dakota Middle School Teacher of the Year Award. Aside from her work at Kasyoki Christian Academy, Ms. Kasyoki works with a school in Kenya, as well as owns a pawn shop, a coffee and bake shop and massage and reflexology center. Ms. Kasyoki earned a master’s degree in guidance counseling and school administration at Northern State University, and is a certified massage therapist and certified in reflexology. She actively participates in the field through her membership with the North Dakota Association of School Administrators. Ms. Kasyoki attributes her success to the inspiration she receives from her brother and two neighbors, both of whom were teachers. Ms. Kasyoki would like to continue drawing on her skills and knowledge in order to mold the country’s future leaders. 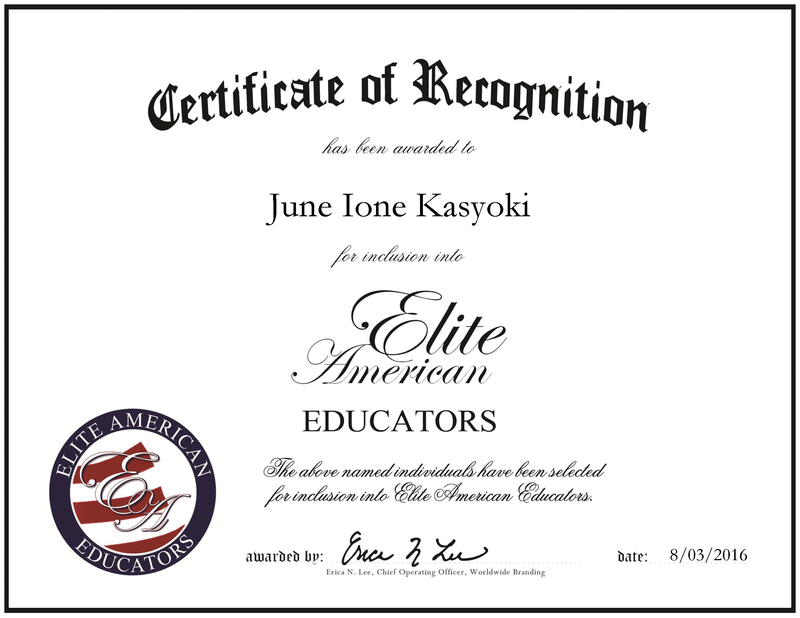 June Kasyoki was originally selected for inclusion in EliteAMERICAN Educators in 2014 and 2015. We are proud to be featuring Ms. Kasyoki again in EliteAMERICAN Educators for 2016. This entry was posted in Academic Affairs, School Administration and tagged academic programs, English, psychological testing, reading. Bookmark the permalink.